The Russian restaurant holding firm Ginza Project, which operates 34 restaurant brands in Moscow, is to open a culinary school in Moscow's Danilovsky market with British chef and broadcaster Jamie Oliver. Part of the balcony running inside the market's dome will house the school, the concept for which and business terms are yet to be finalised, according to a report in business daily, Kommersant. "Perhaps, Ginza will equip the premises at their own expense, while Jamie will provide the brand," a source familiar with the deal told Kommersant. Ginza already has a joint project with Oliver. 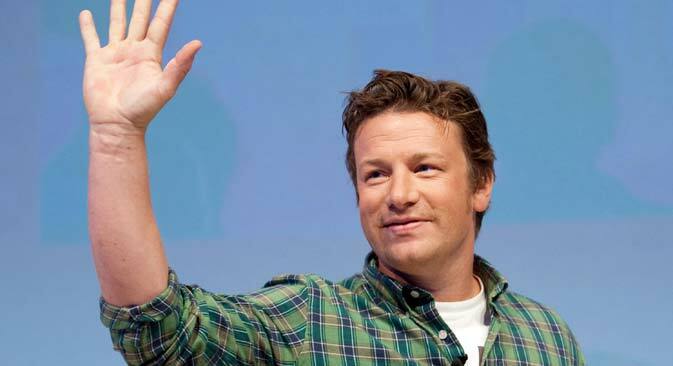 In late 2012, the company agreed a $25 million deal to open 20 restaurants called Jamie's Italian in Russia and Ukraine. So far two restaurants – in Moscow and St. Petersburg – have been launched. The latest project is part of a broader scheme to modernize Danilovsky market, which has long been considered a model facility by city planners. Some years ago the building was renovated and local suppliers and restaurants invited to take out leases.